La Roseraie du Désert is a rose nursery that specializes in Teas, Chinas and Noisettes, and is located in the southwest of France. The website is a custom theme built on WordPress. A French version of the site is a click away. 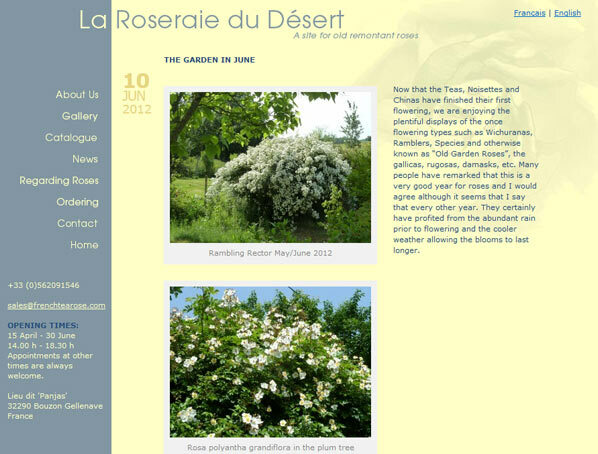 An extensive catalogue and blog keeps visitors coming back to learn about the roses at the nursery and what is available for mail order.